Copyright © 2019 All Rights Reserved. 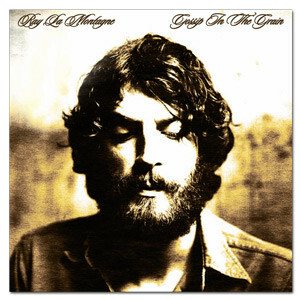 Musictoday II, LLC, is the seller of all Ray LaMontagne merchandise and is solely responsible for all aspects of your purchase. Click here to learn more about Gossip in the Grain! Lauded singer/songwriter, Ray LaMontagne is set to release his much-anticipated third album, Gossip In The Grain, on October 14th on RCA Records. Recorded with returning producer, Ethan Johns in Box, England, and touching upon a range of styles and musical settings– spanning pastoral folk, railroad blues, front porch country, and plangent balladry – Gossip In The Grain proves to be his most creative and emotionally expansive collection to date. Whereas LaMontagne’s two previous albums, Trouble and Till The Sun Turns Black, were largely solo affairs, with Johns serving as multi-tasking instrumentalist, Gossip In The Grain sees him joined by members of his touring band, bassist Jennifer Condos and guitarist Eric Heywood (with Johns largely handling drum duties). Along with his band members, LaMontagne is also joined on two tracks – “A Falling Through” and “I Still Care For You” – by singer/songwriter Leona Naess. As LaMontagne explains “It was time to open up a little bit more, not be quite so reserved in my choice of songs that I wanted to record.” Recently called by Vanity Fair “a fresh reminder that the genuine artist is not yet an extinct species,” Gossip In The Grain reconfirms Ray LaMontagne as an artist and a craftsman without limits, a songwriter who is able to work his melodic gifts and distinctive lyricism through any of the myriad musical traditions that catches his fancy. Join the Ray LaMontagne Official Store list to be the first to hear about new items, special sales, and receive 15% off your first order!